gorgeous!! It looks awesome, Alice. I would love to be on that deck, under that quilt! It's absolutely wonderful and just might be one of my favorites that you've made. 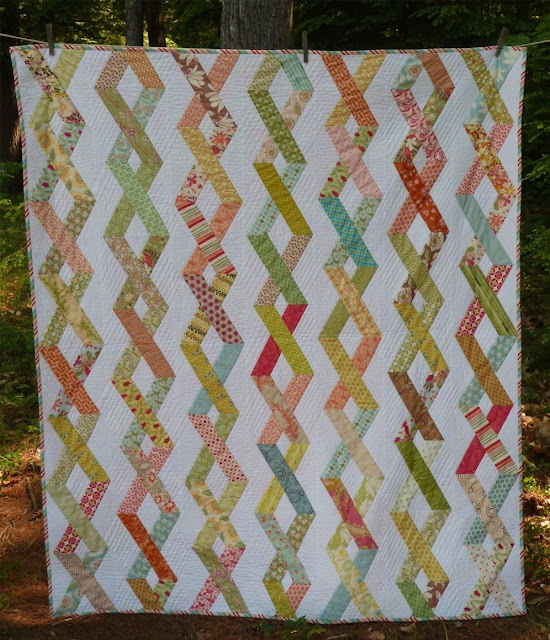 I agree, the frustration of the quilting was worth it, it looks awesome! It looks wonderful--no imperfections are visible in the photos! REally, really beautiful! 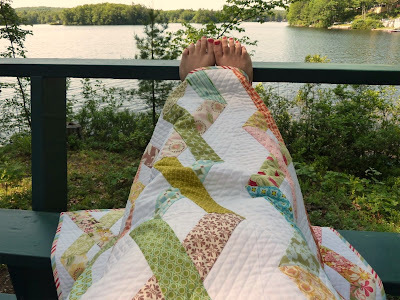 I love how the quilting makes the prints pop. The back is amazing - you should have shown us more! It must feel really wonderful with all that texture. This turned out wonderful! I love it! 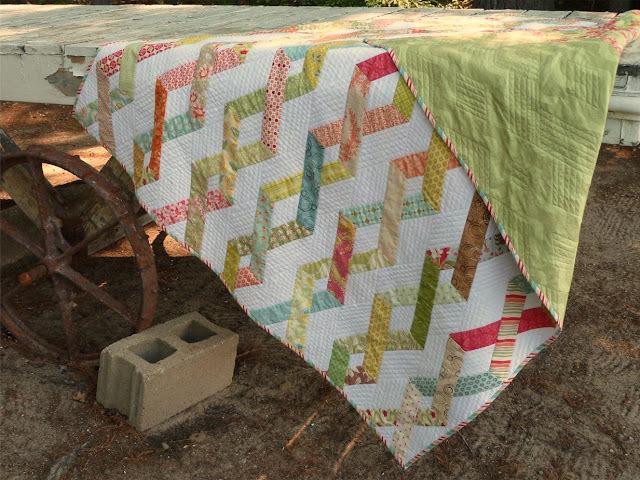 You know, I have found that you only notice the imperfections when you are making a quilt. You seem to forget them as time goes by. Congrats on the finish! I think it's just perfect. Not at all imperfect. Beautiful! I definitely do not see any imperfections, it's just stunning in the pictures! I love the quilting!! Wow -- that's a stunning quilt!!! I love how fresh and cute it looks -- AND that it's being used! A great finish!!! 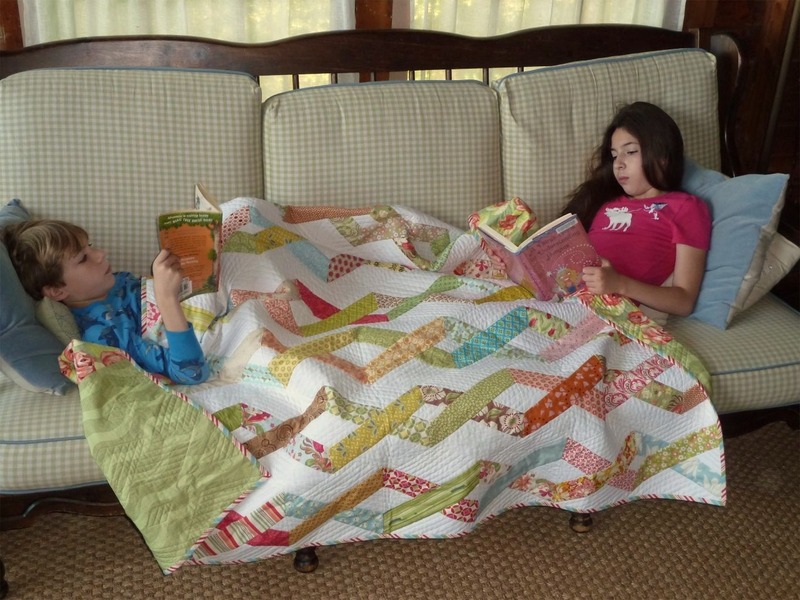 You've done such a great job on this quilt! 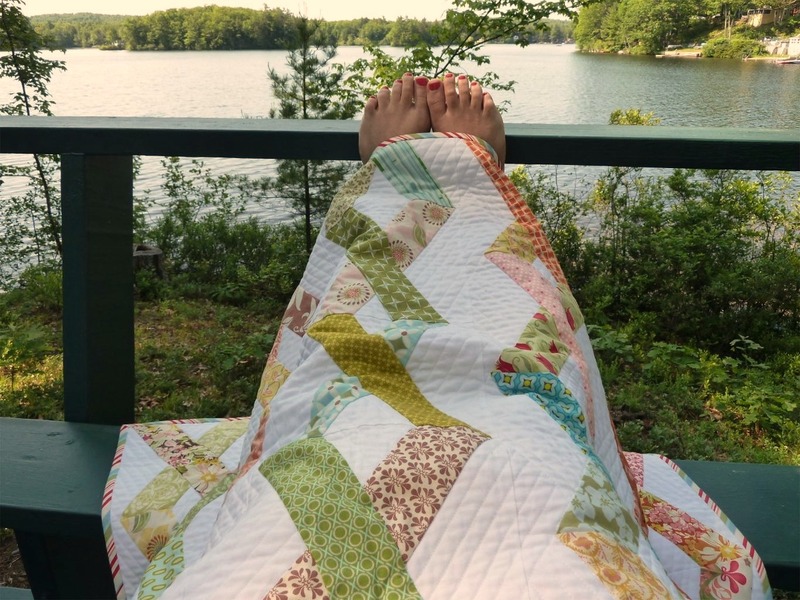 It's beautiful, but the great quilting makes the quilt. I love how you quilted it. Thanks for linking up to Slash the Stash! That is one beautiful quilt. Love the quilting too! Looks great!